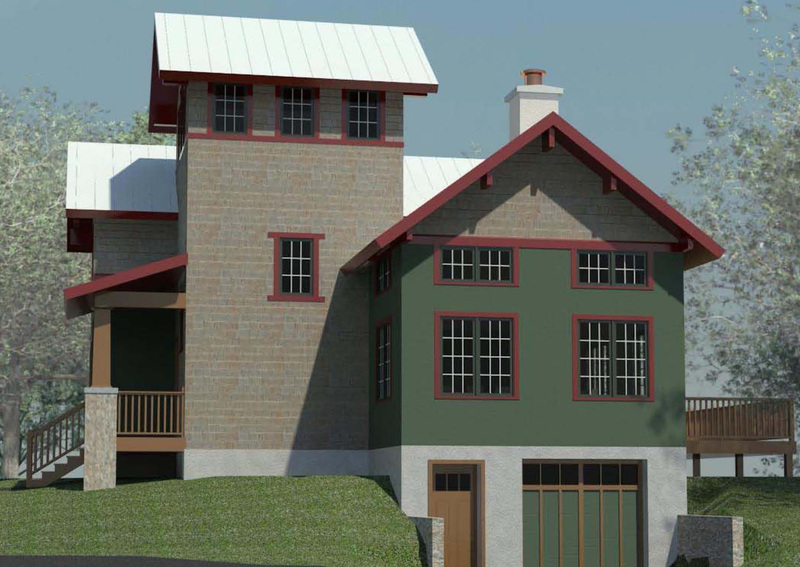 New residence heavily influenced in craftsman style architecture. Board and batten siding terminates at the second floor sill into a continuous apron board which transitions into the frieze board of the 1 1/2 story main living space. 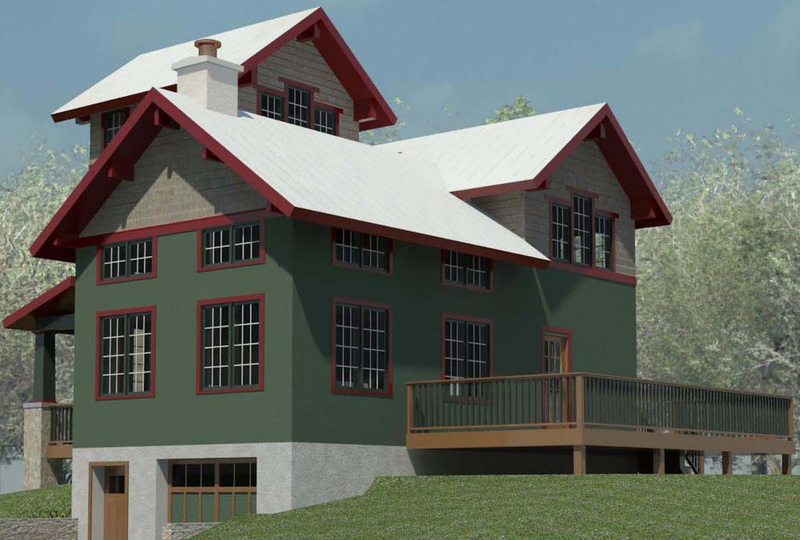 Craftsman influence continues through the gable-end brackets, beams and window trim extensions throughout the cedar shingled walls of the second floor and stair tower.